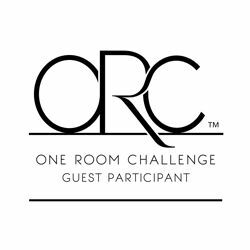 It’s week 5 of my guest participation in the One Room Challenge hosted by Calling It Home and I’m excited to share some of the progress made since my last post. By the way, if you’re visiting for the first time, you can catch up to my 4 prior posts below. Thanks for stopping by! Before I discuss the progress made this week, I have to show you the ceiling fan that’s in Ellie and Lauren’s bedroom. Although it will be nice to have a pretty chandelier in their bedroom to glam up the space, we are not trading this fixture any time soon. Our bedrooms get hot in the summer, even with central air running throughout the house. This is why 7 years ago, we had ceiling fans installed in all of our bedrooms. 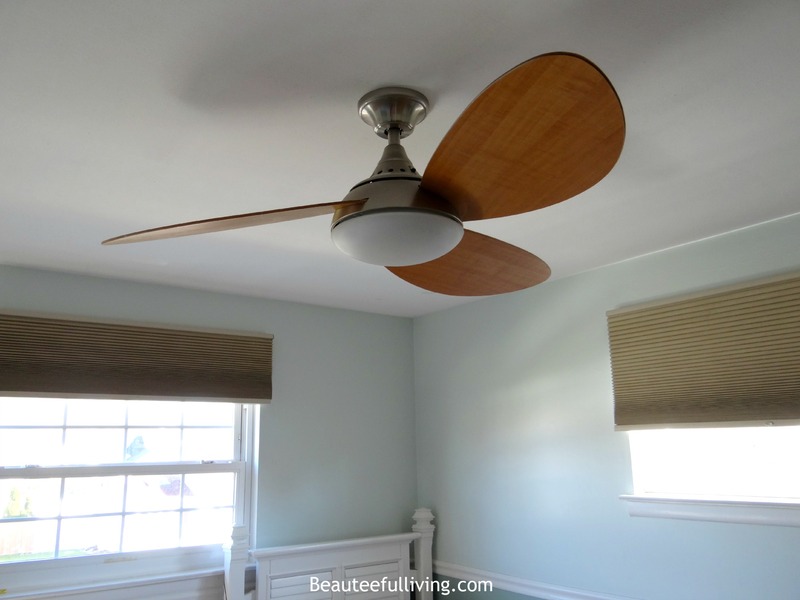 It’s a challenge to find decent looking ceiling fans but I still love how this ceiling fan looks. 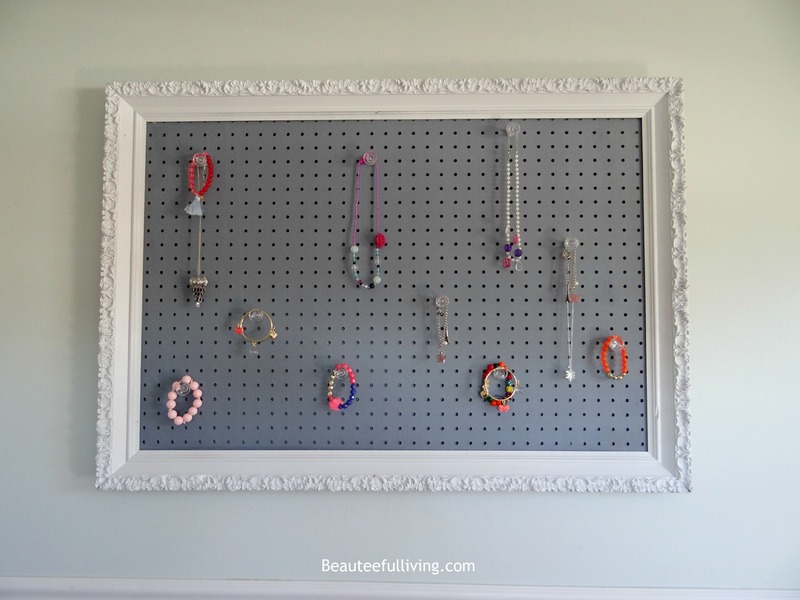 Since I had these clear drawer pulls lying around, I decided to re-use them to hang the kids’ jewelry on the pegboard project I recently completed. I installed them in varying heights for interest. 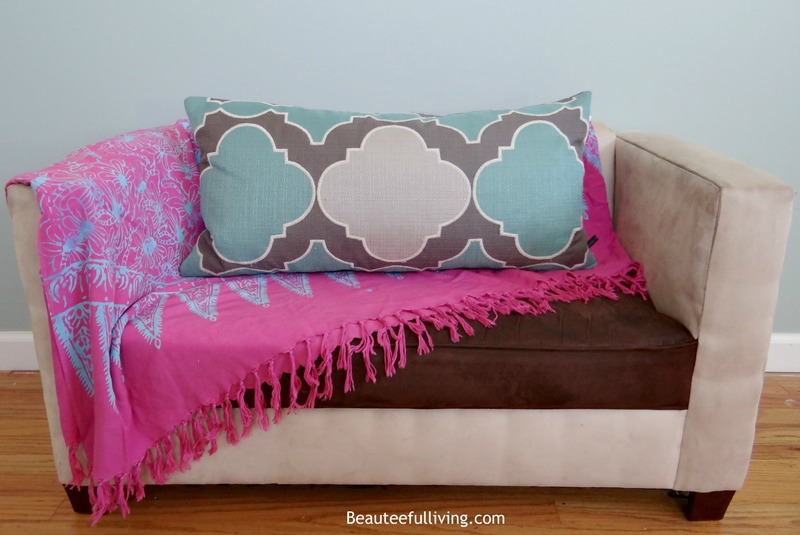 In last week’s post, I mentioned about adding this geometric pillow to dress up the kid-sized love seat. Well, it still seemed to lack a little something so I decided to add more color by way of my pink and turquoise sarong! Much better. 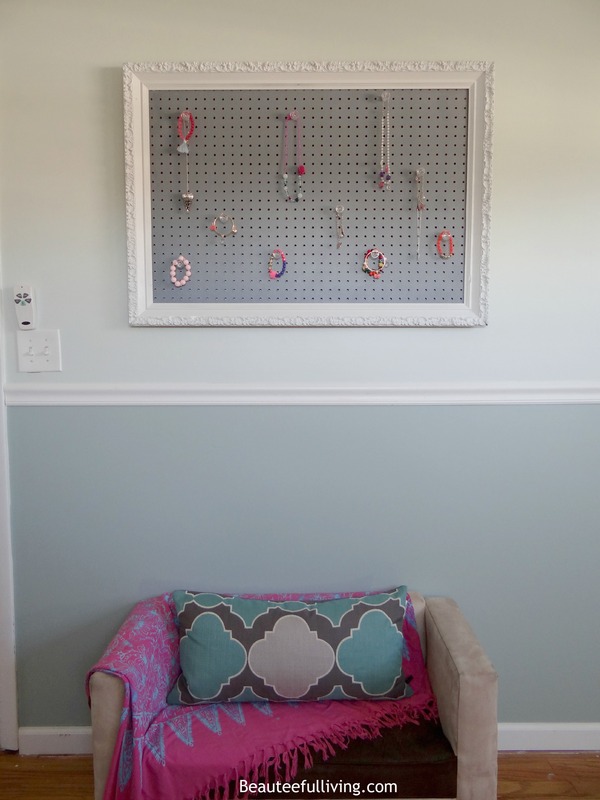 Here’s how the wall with the pegboard and love seat looks! For our 5 year old’s recent birthday, we brought her to the American Girl Doll Store in New York to pick up the doll she’s been requesting. Her name? Grace Thomas — 2015 American Girl Doll of the Year. 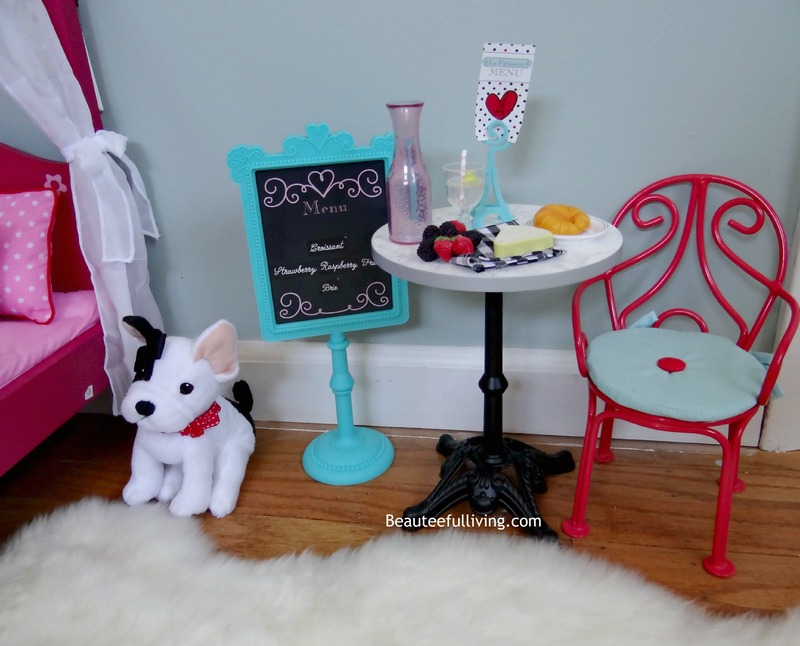 Since Lauren LOVES playing with and dressing her dolls up, it’s fitting that there’s an area in this room for her dolls and accessories. 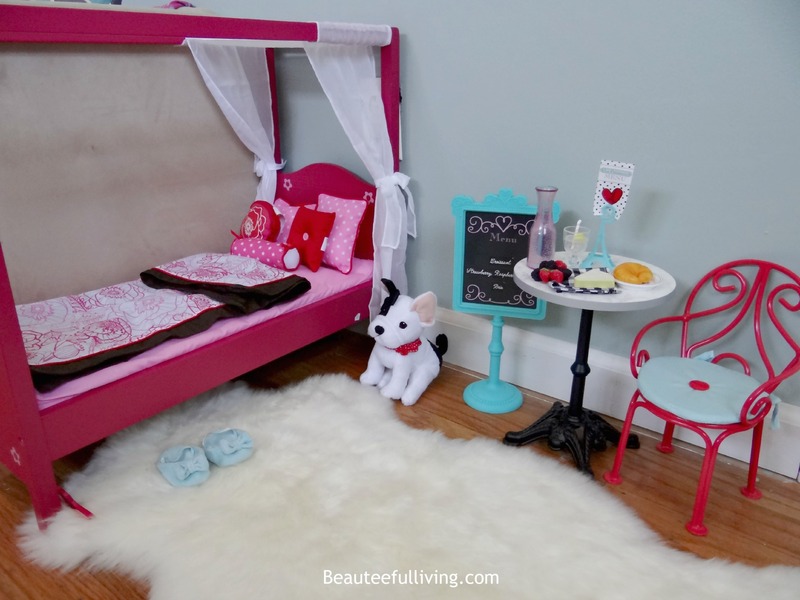 Look at this adorable canopy bed that a close buddy of mine purchased for Lauren! It goes so well with the cute bistro set that my sister bought for Lauren’s birthday! Here’s Grace Thomas taking her nap. Ha! Remember how this looked last week? Well, you know me. 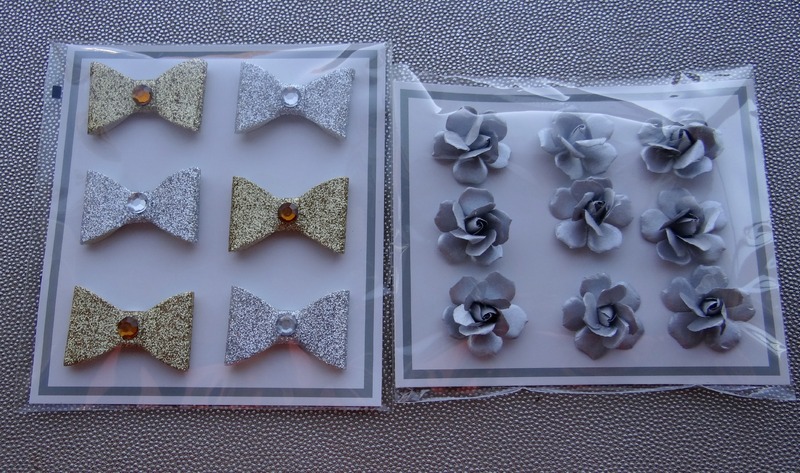 I love making embellishments to things. Here are some fun 3-D stickers I purchased from Michael’s the other day. 1. 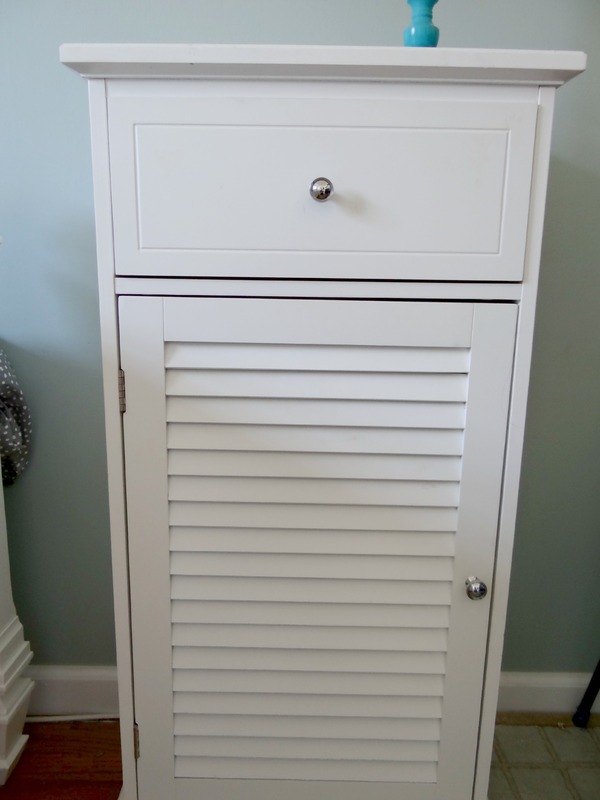 Storage cabinet – Wait till you see what this cabinet will be storing. 2. 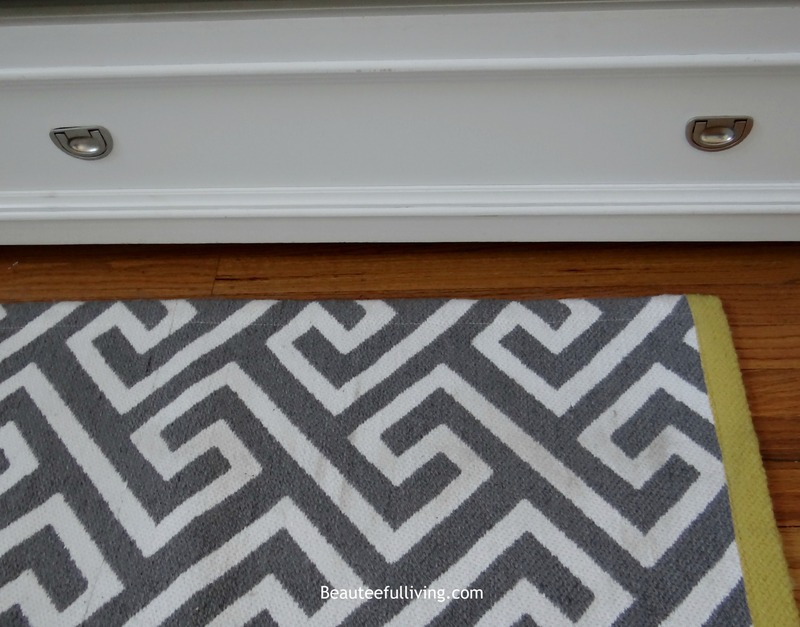 Floor Mat – Love the grey and yellow on this mat. It’ll go great with the bedding. 3. 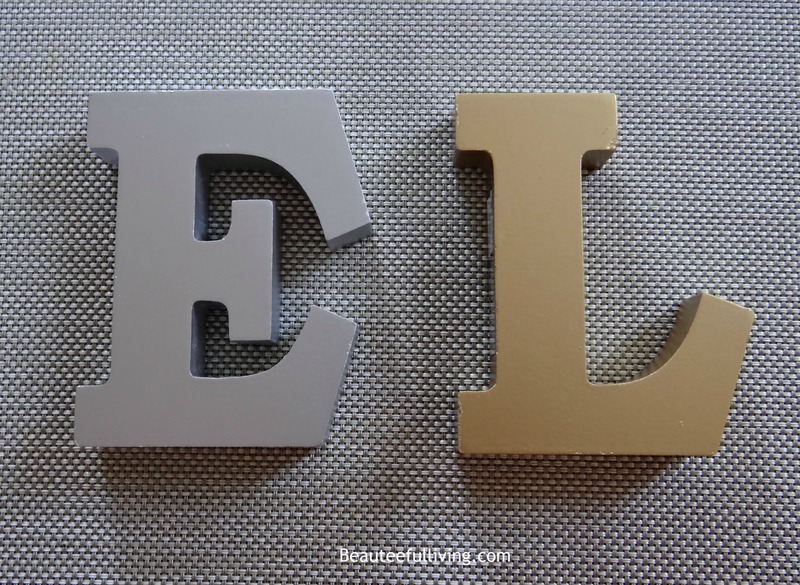 Initial Letters – These initials will be added to the gallery wall I will be revealing next week. Can’t wait! If you’ve enjoyed Week 5’s updates, please like, share, or pin this post. You’re the best. Thanks! With just 1 more week left, my mind is swirling with all the details still left to do for next week. It’s all good though. I really can’t wait to see this room completed next week! For additional content before next week, you can visit Beauteeful Living’s Facebook, Instagram, and Twitter accounts. 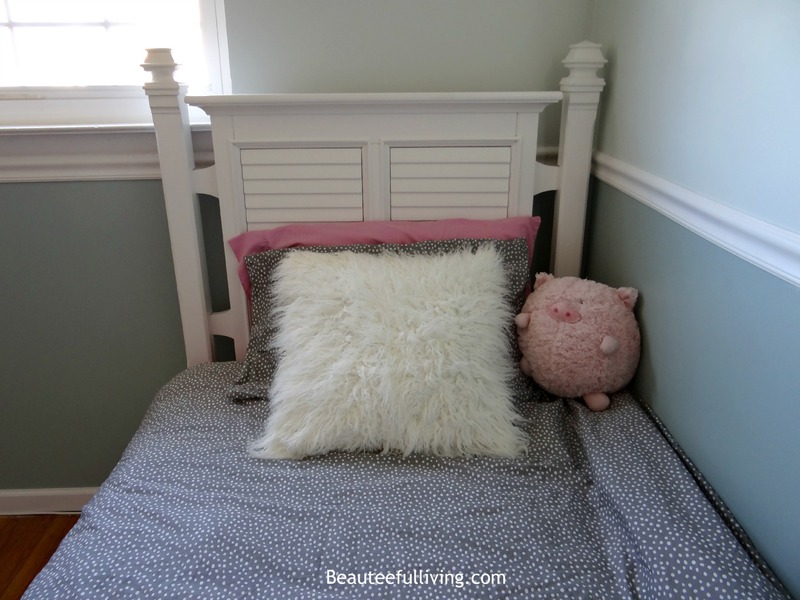 Don’t forget to visit Calling It Home and check out others linking up their projects! Thanks for visiting! I’d love to know your thoughts on this room. Xoxo, Tee. Looking great! Can’t wait to see the finished room. 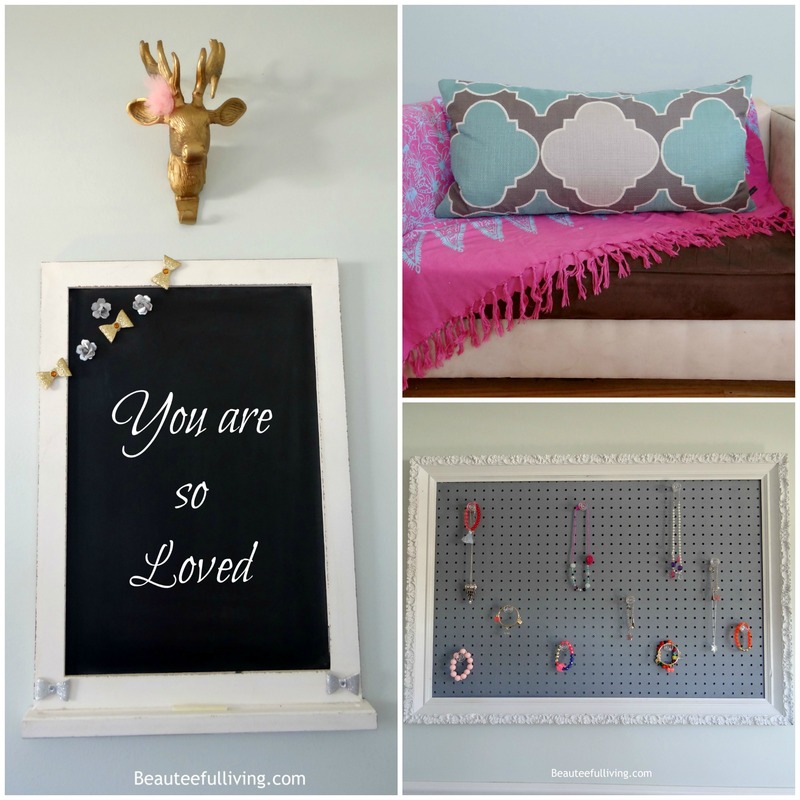 Loving that pegboard jewelry holder. I love the bedroom it looks beautiful. The peg board is adorable, too. Precious bistro set up! Loving the hanging pegboard. Those are the best inventions ever. Decor with a practical purpose. 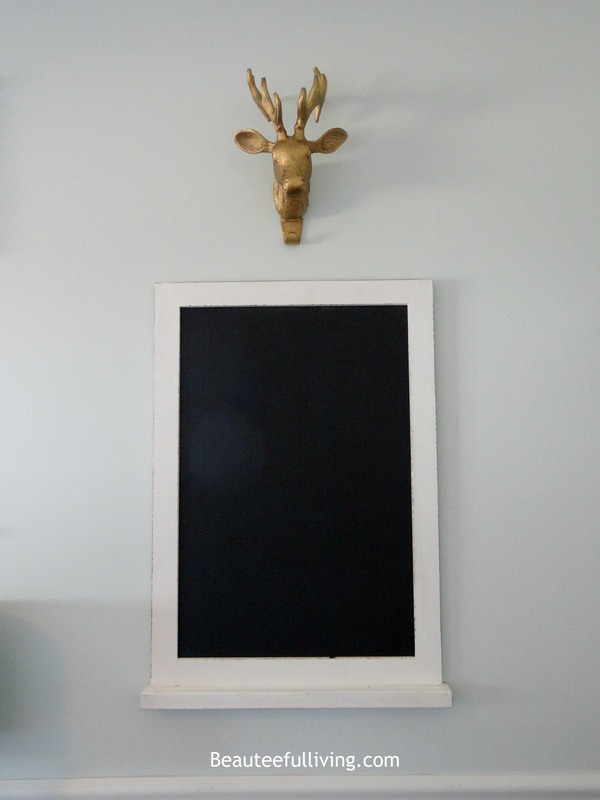 I love so many of the elements in this room, but the jewelry pegboard and chalkboard are my favorites. Super cute bedding also. I can’t wait to see the reveal! 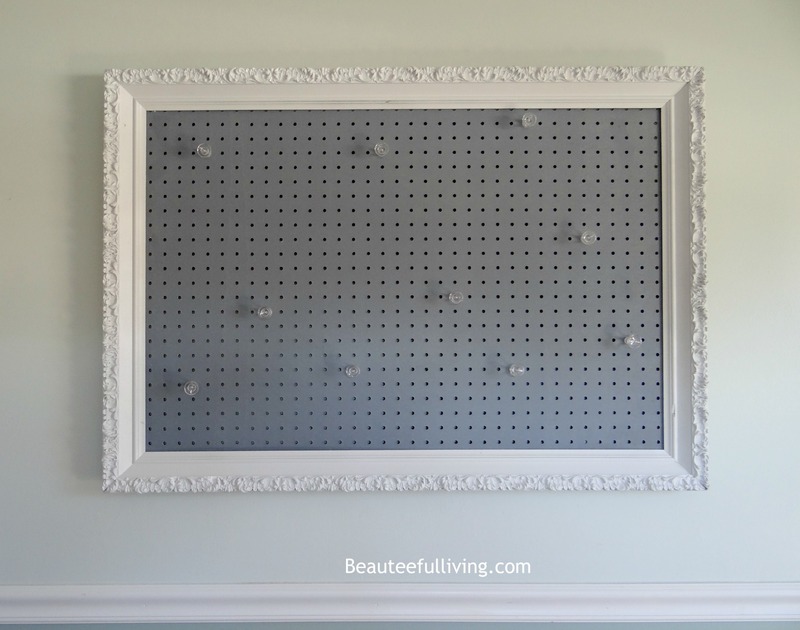 I love the pegboard with that frame! It’s fantastic!! 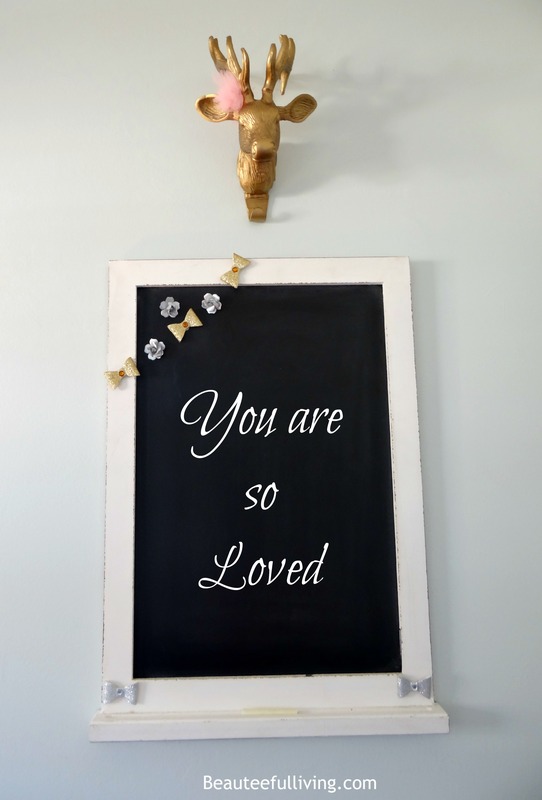 The chalkboard embellishments look wonderful. I love the added pop. 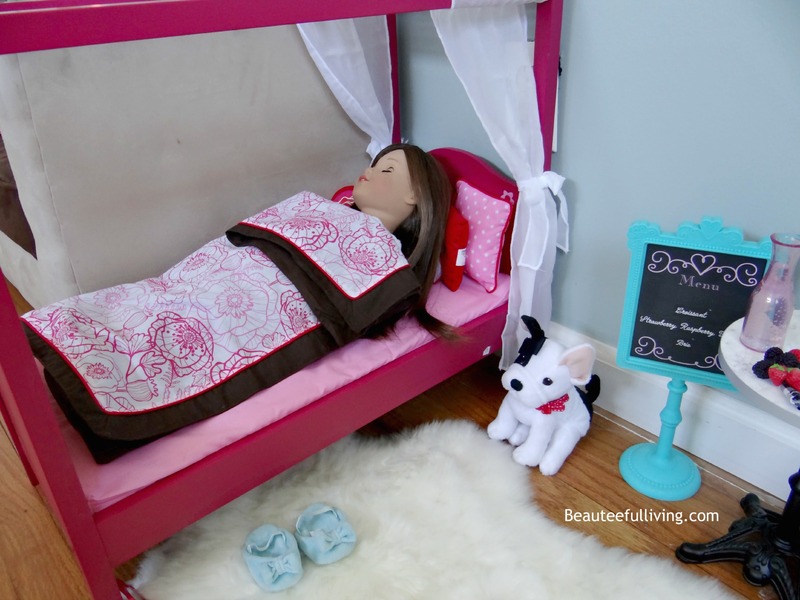 The doll canopy bed is so adorable. Can’t wait to see next week! Tee I love the knobs on the pegboard for the jewelry! And that American Girl play area is amazing! I would have LOVED that when I was little! This is amazing! 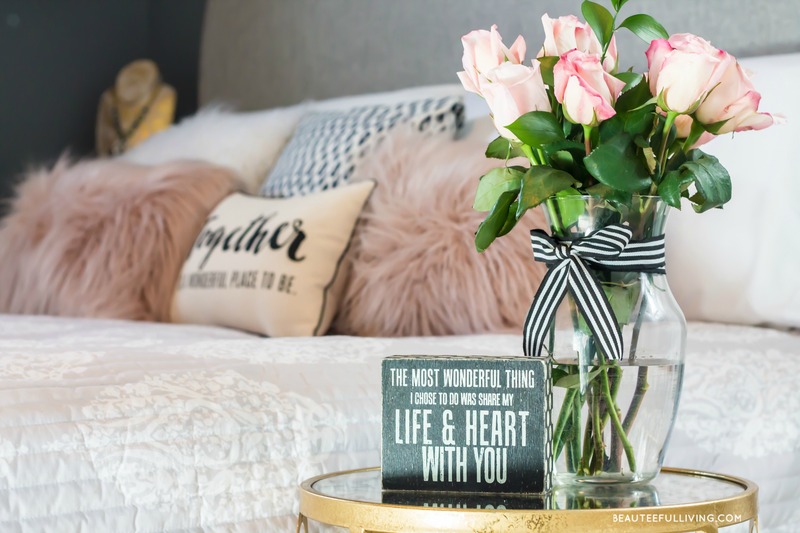 I am still working on my daughters room… I am waiting on a chandelier to arrive and I have a monogrammed piece I need to finish above her bed… after that it is all little things. 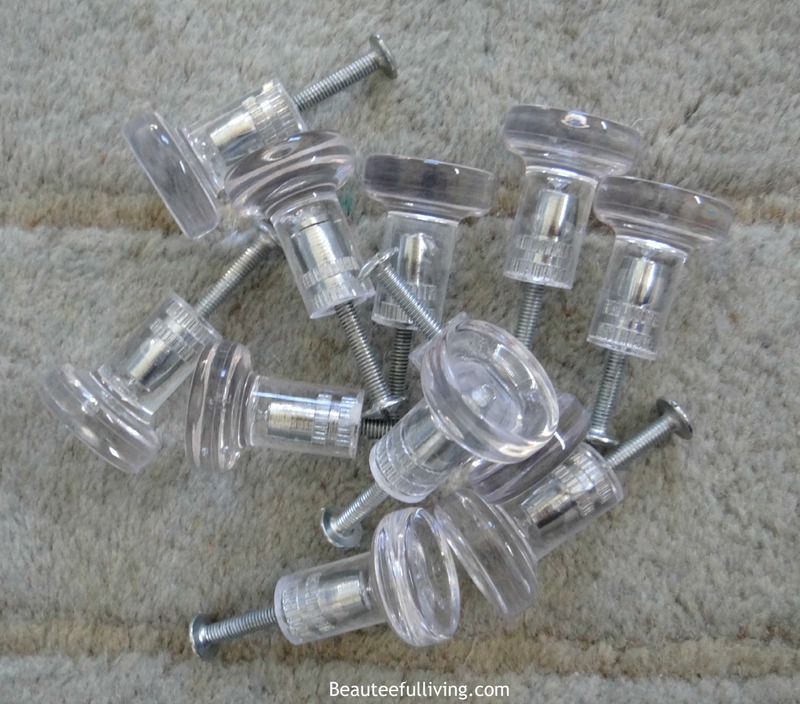 I LOVE those drawer pulls on the peg board, what a GREAT idea!!! That ceiling fan is really nice, too! I love that jewelry frame! The colors in here are gorgeous! I am excited to see the full reveal next week! Hi, Tee! The room is turning out great! Everything looks so sweet! I love all the little details so far, I can’t wait to see the full reveal! It’s looking great! I’m glad you’re keeping the fan. Sometimes I feel like an odd man out, but I HAVE to have a fan on to sleep, so there will be no chandeliers anytime soon for me! 😉 It IS a cute fan though! looking so so cute! I am sure she is in heaven!